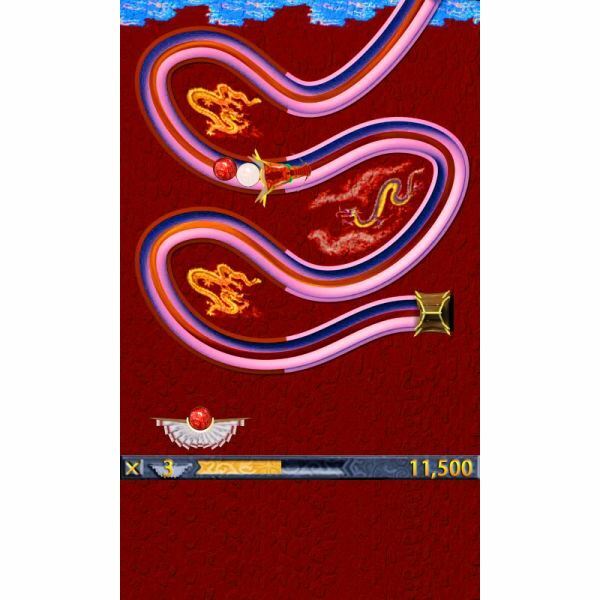 Dragon Ball is a great new freeware game for Windows Mobile devices with a very simple aim – stop the dragons with their long tails from reaching the end of their journey. This is done by firing colored balls at the dragons – their tails are comprised of similar balls, and by grouping 3 or more together the tails are shortened. When the tail has disappeared, the dragon dies. As well as colors, some of the balls in the dragons tails carry special bonuses – catch these and your score increases even more! To install, download the installer file from www.freewarepocketpc.net. The downloaded CAB file should then be copied to your Windows Mobile device; you can install the game by running the CAB file. It’s a 5 MB download, so unless you have a generous data plan with your network provider, downloading to your PC and copy it to your Windows Phone will be the best option. Gameplay is so simple – but best performed with you stylus. 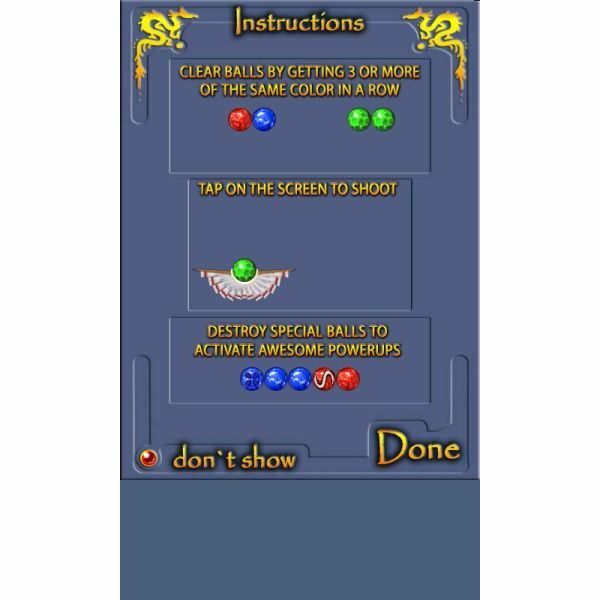 Depending on what color balls are part of the dragons tail, your ball launcher will change color to match, allowing you to build longer chains to maximize bonuses or simply destroy the dragon as quickly as possible. 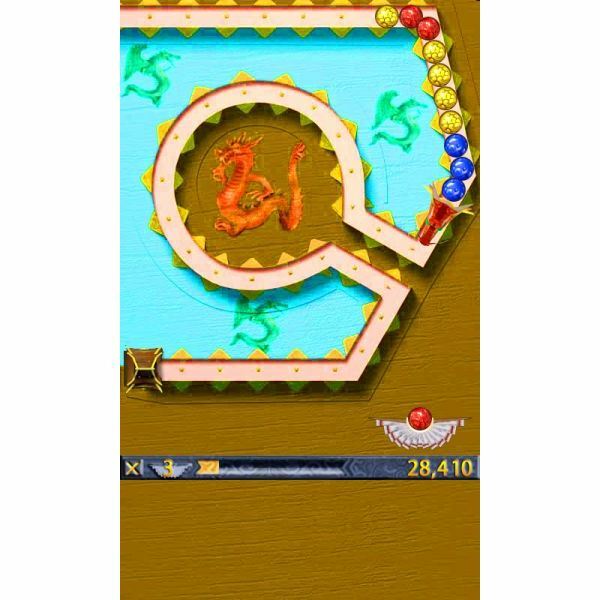 It can get quite frenetic, especially when the dragons speed up and start swooping across the game area – this app is lots of fun and comes with a range of options, different play areas for each level and a vast map that must be completed in order to win the game. There are 12 levels each featuring between four and eight stages – quite exhaustive for one gaming session – so it is good to see that there is a "Continue" option in order for previous games to be carried on. You can’t miss DragonBall – it’s great fun and is available for free; it's easy to pickup and very addictive! 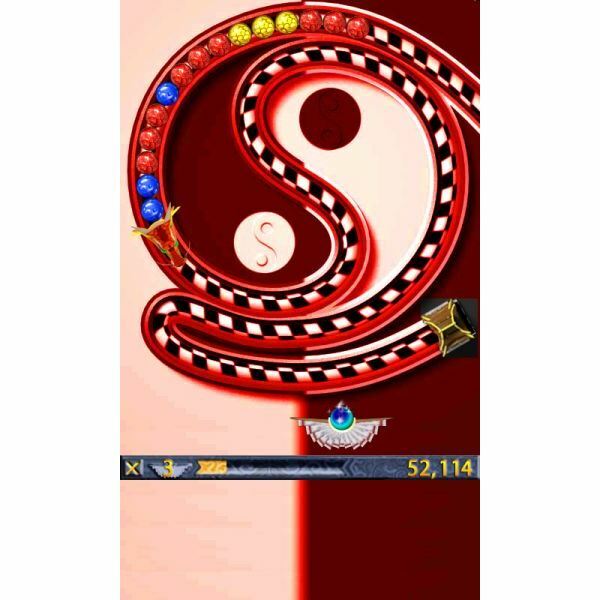 Although simple gameplay can often become repetitive, this is avoided this by suitably redressing the game area for each level, offering just enough to each level to differentiate from the previous, increasing the challenge as the game goes on and offering a superb mobile gaming experience. 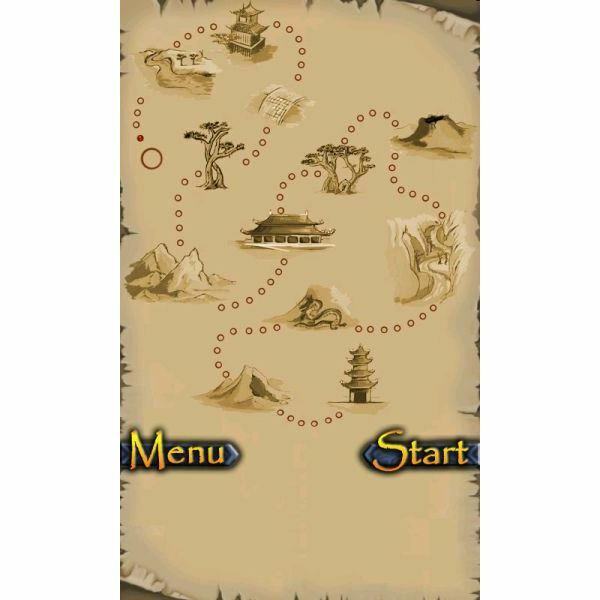 The map meanwhile provides a purpose to the game, offering a final challenge that gives the player the sense of satisfaction in completing all of the levels – something that is rare in games on any platform these days.